I love to surprise my kids. I think that one of the perks of being a parent is seeing the look on your child’s face when they are surprised. 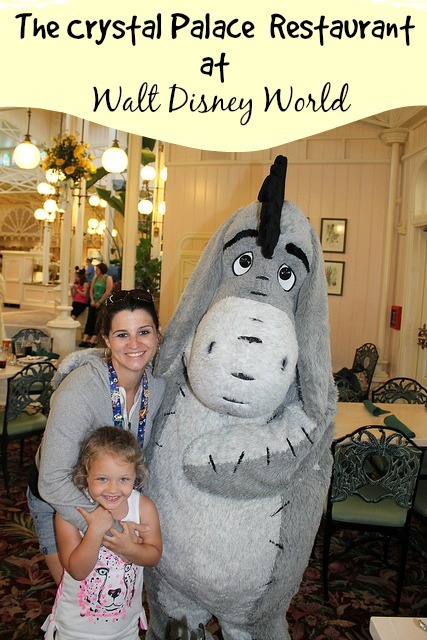 Probably the biggest surprise my husband and I have ever pulled off was the time we surprised our kids with a trip to Walt Disney World. I am not going to lie, it was really hard to keep this big of a secret for months especially when all I wanted to do was scream with excitement “We are going to Disney World” but I managed to contain the excitement and I am so glad I did. 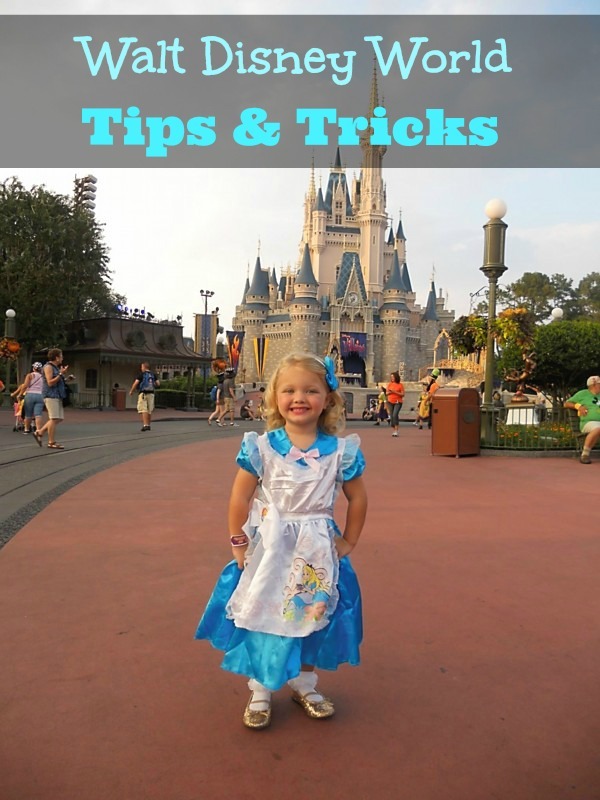 If you are planning a trip to Walt Disney World or Disneyland and looking to add a little extra magic to the trip consider keeping your trip secret from the kids. I will warn you it’s gonna be hard but in the end it will be well worth the wait. There are several ways that you can surprise your kids when it comes to the big reveal. YouTube is an excellent resource for ideas when it comes to this subject. 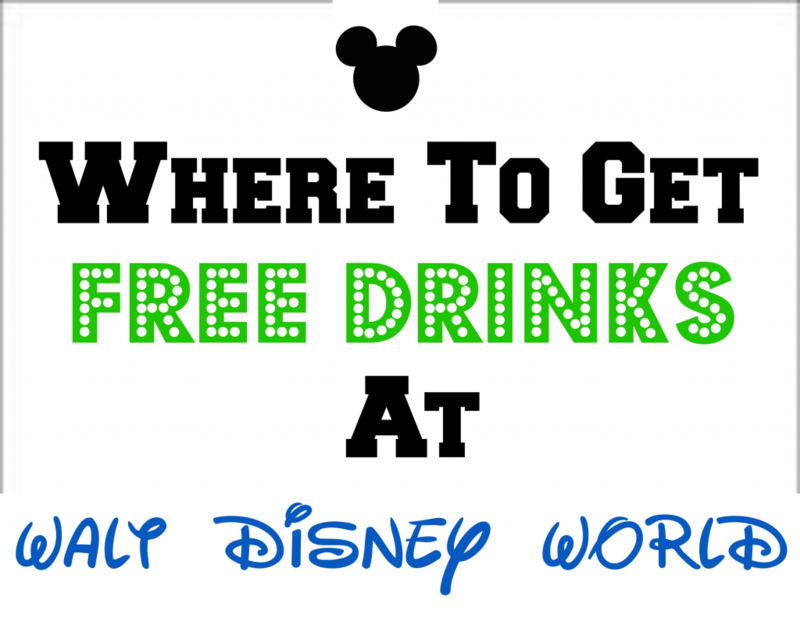 All you need to do is go to YouTube and type in Disney World Surprise Video and you will get thousands of videos. After a lot of thought and research we decided to do a Disney World Scavenger Hunt that involved clues and puzzle pieces. Each clue would come in an envelope that contained puzzle pieces. 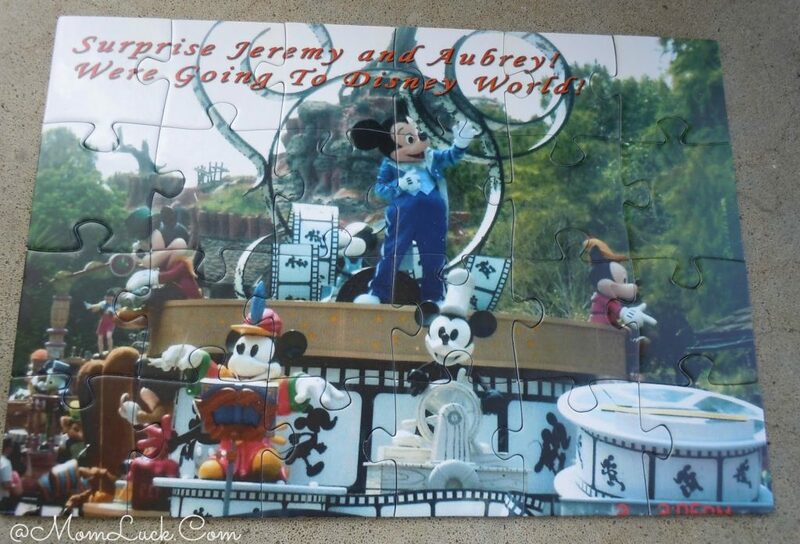 At the end of the hunt my kids put the small puzzle together that would have a picture of Mickey Mouse and read “Surprise Jeremy and Aubrey, we are going to Disney World”. The look on both of their faces were priceless and I am so glad that we waited to tell them. We actually saved the surprise until the night before we were to leave that way the kids only had to wait a short amount of time before we headed off on our magical vacation. 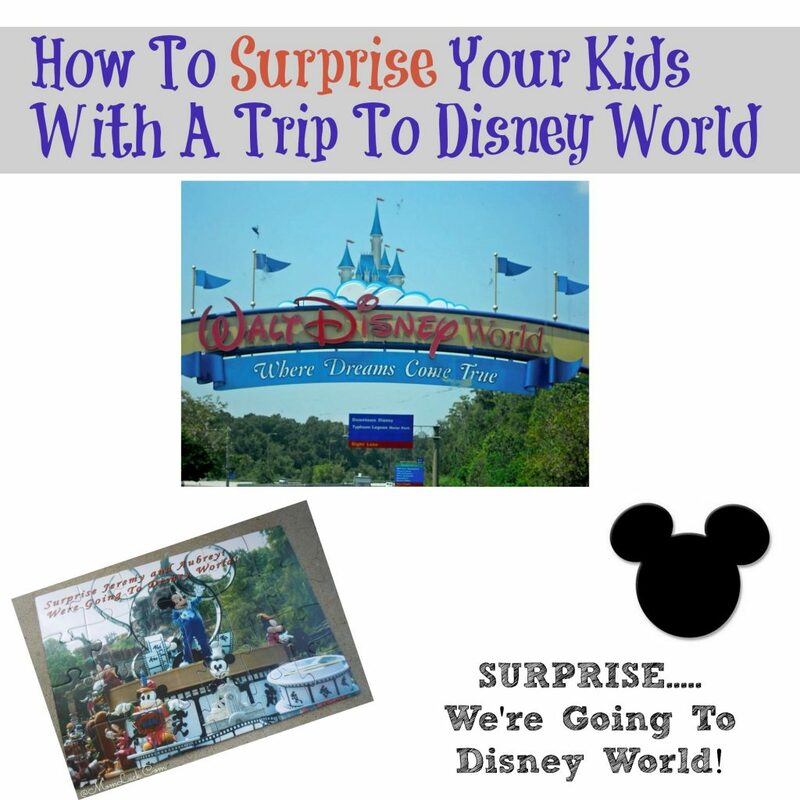 Have you ever surprised your kids with a trip to Disney World? This would be so fun to do. We havent been to Disneyland they are so far away. The look on your kids faces is priceless! We surprised our 2 girls (then 6 and 3) at Christmas with a trip we took this past Spring Break. It ended up being the funniest thing, because they were so occupied with Christmas that when we told them when we were going they were just kinda, “Oh, ok. That’s neat!” Note to self: needs to be closer to the time you’re going and NOT at Christmas…unless you’re going AT Christmas, of course! That would be amazing!